Same Sky is a fair trade company that works to empower women to become self sustaining through entrepreneurship. Their inaugural project is the Same Sky bracelet made by HIV+ women in Rwanda. 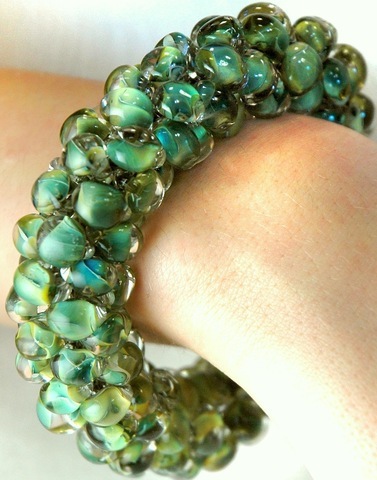 Each bracelet is crocheted with handblown glass beads and includes a card signed by the artist. The Trade-Not-Aid initiative uses jewelry to effect change in Rwanda…one woman at a time. A special birthday wish to my wonderful husband. He is celebrating a mile-stone birthday…we won’t say which mile-stone though. Bill puts up with all of my artistic endeavors with a smile and a great deal of support…including letting me take over his office for my studio.